Previous post on LCM here. The National Assembly for Wales debated the Medical Innovation Bill in Plenary yesterday, February 3 2015. The debate, informed by the report of the Committee released last week, revealed a cross-party clarity and cutting precision from the Senedd, despite Lord Saatchi’s best attempt and Lord Howe’s assertions in the Lords. 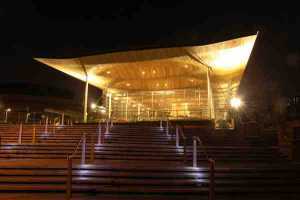 The Government of Wales Act 2006 permitted a referendum on devolving legislative competence to the Welsh Government. This occurred in 2011 since which Wales has had full legislative competence in the 20 areas set out in Schedule 7 of the 2006 Act, subject to any exceptions listed therein. One of these areas, under Para 9, Pt 1 Schedule 7 is health and health service provision. A Legislative Consent Motion must be passed by the Assembly to provide agreement for Westminster to legislate for Wales in an area of Welsh legislative competence. The Welsh government identified that the Bill clearly applied to an area that has been fully devolved, and so the Minister for Health and Social Services Mark Drakeford issued a legislative consent memorandum in December 2014. Already clear, the 2014 SC judgment on Agricultural Sector (Wales) Bill irrefutably delineated the matter of legislative competence as being a test of whether the provisions of a Bill relate to a devolved subject. Indeed, the Bill “sits firmly” within the legislative competence of the National Assembly: the Westminster Parliament’s assertions that it does not apply are “plainly not the case”. What were the UK govt, Bill team, DH thinking? To attempt to pass legislation in an area so clearly devolved to Wales is a fundamental breach of convention, but to add to that the Bill is widely considered unnecessary and harmful. Surely they knew this would be picked up? and if they aren’t aware, then what are they doing in their jobs? Earl Howe was wrong in his assertions to Baroness Finlay which is somewhat remarkable for a Parliamentary Under-Secretary of State for Quality at the Department of Health, speaking for the UK government in the House of Lords. is this Bill the appropriate vehicle, and does this lie within the competence of the National Assembly for Wales? I have to say that I fully concur with the Welsh Government in terms of its view and the view of the Health and Social Care Committee in terms of the scope of this Bill falling absolutely within the competence of the Assembly. It is very clear that this is touching on issues that relate to the field of health in the Government of Wales Act 2006, and therefore it is entirely appropriate that we’re having this debate in the Senedd today.” “We will be voting against the LCM on the basis that we do not feel that there is a need, frankly, for the provisions in this Bill in order to allow for appropriate medical innovation here in Wales. As the Minister has already said, and, as we received evidence to the health committee from a range of sources, there is innovation already taking place. Frankly, Wales and the rest of the United Kingdom are at the cutting edge, in many respects, of medical innovation, with new treatments coming online and upstream all of the time. We ought not to undermine that by tinkering with our legislative arrangements in a way that would undermine the accountability that’s currently in the system, which allows for that innovation to take place. So, we do feel that the provisions in this Bill are unnecessary, that the current law, and the ethical guidance that sits alongside that law, are sufficient and adequate to be able to allow for responsible medical innovation where there is a patient interest that clearly is going to be pursued. For that reason, we’ll be supporting the Government’s position today and encouraging Members in this Chamber to vote against this LCM.